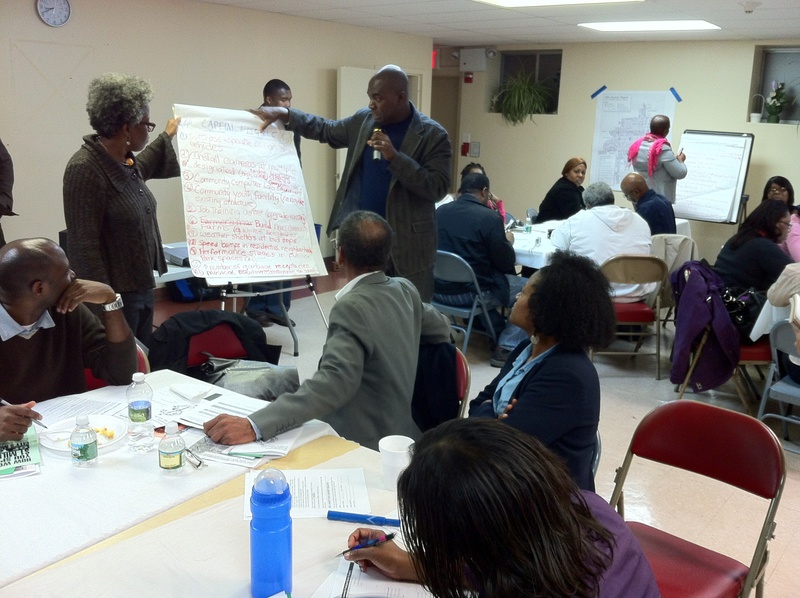 One of the most appraised participatory urban development tools is participatory budgeting. First employed in 1989 in the Brazilian city of Porto Alegre, this new way of planning a city’s budget has now spread to over 1,500 cities all over the world. The different ways of allocating city budgets in a participatory all have in common that ordinary people decide how to allocate a certain part of the municipal budget. This happens in a process of democratic discussion and deliberation during the course of several meetings open to everybody in the community. This way, priorities are identified. Participatory budgeting is especially designed to involve low-income neighbourhoods in a process of public participation and decision. In the end, either a recommendation on budget allocation or a detailed budget plan is handed over to officials. Depending on the city, the concept of participatory budgeting has been expanded to give citizens more control over the city’s policies and development priorities. For example, in Porto Alegre, citizens successfully demanded more schools and public facilities in poor districts. The secret of the success of participatory budget is that it does not just re-allocate resources as a way of fighting poverty, but is also sustainably changing government structures and institutions. This enables “real participation” or, in the words of the famous anthropologist Arjun Appadurai, “deep democracy”. Read his paper here. This powerful way of enabling participation with very tangible results leads to a change in the perspective on urban governance. Citizens are not just considered as potential voters, but part of the power is handed over to them (or reclaimed by them). However, there still remain some difficulties. First, there has to be a will in local government to relinquish control over their resources and budgets. In cities with a strong civil society, like Porto Alegre or New York City, the public usually use their influence to pressure officials enough. But in cities with a less active civil society, there might not be enough incentives to establish a participatory budget. Secondly, participation happens at the lowest (grassroots) level, but the funds might be channeled into different uses a few levels above. This influences the process of participatory budgeting since money might only be available for certain purposes. Thirdly, as is often the case in participatory processes, participatory budgeting can be very time-consuming. Research from Porto Alegre shows that women tend to participate less and less frequently in the budget meetings since they don’t have enough time next to working and maintaining the household. Apart from the time factor, budget meetings require a certain amount of long-term commitment: It can be complicated to grasp the workings of a municipal budget and to keep track of it. Especially in low-income communities, there might be a flux of neighbours and not everybody will be able to make a commitment to budget meetings. This often results in a lack of representation of the extremely poor, who cannot afford to lose time in these meetings. Lastly, effective, ethical and experienced leadership is needed within communities to adequately lead discussion and communicate the community’s priorities and budget plans to government officials. Organisations like the Participatory Budgeting Project work to educate community leaders for this purpose. They offer free material on how to start such a process in your community on their website, so why not give it a try? Please share your thoughts and ideas in the comment section below and don’t hesitate to contact me (laura@parcitypatory.org).